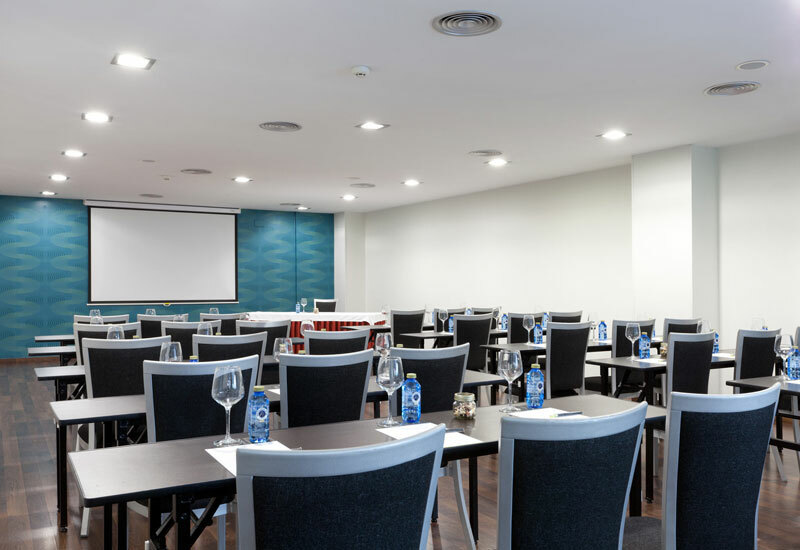 Hotel Gran Bilbao offers 10 large event rooms and more than 19,000 ft2 to host all kinds of events. 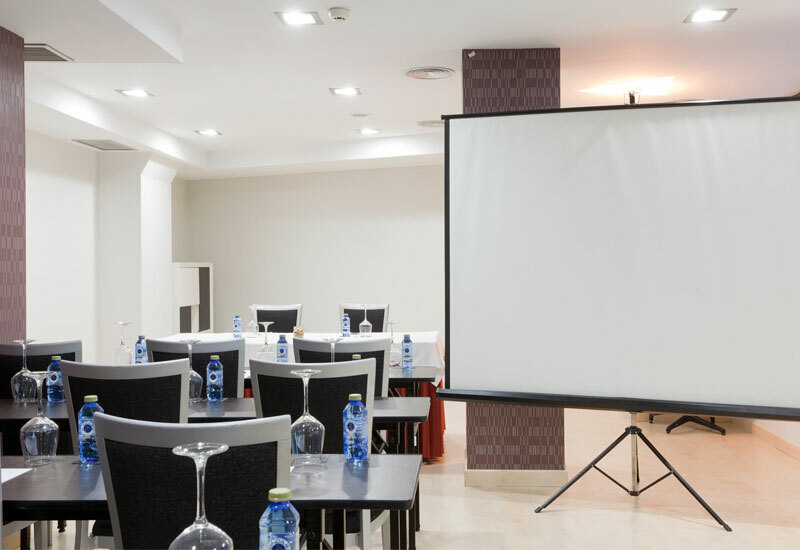 These event rooms come with complete technological and audiovisual equipment as well as free Wi-Fi and parking for attendants. 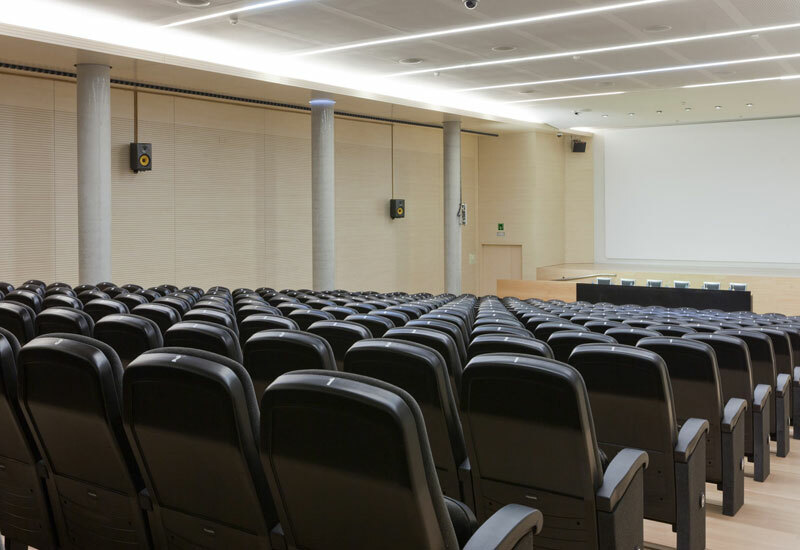 You can also complement the audiovisual equipment by adding services such as simultaneous translation and videoconference technology. 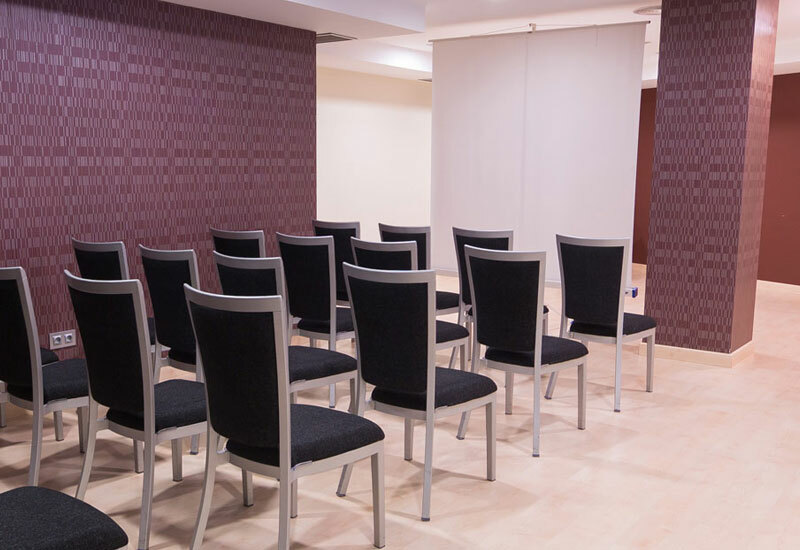 All of our event rooms offer Wi-Fi and 3 floors of underground parking for free, as well as a screen and stationery for business events. 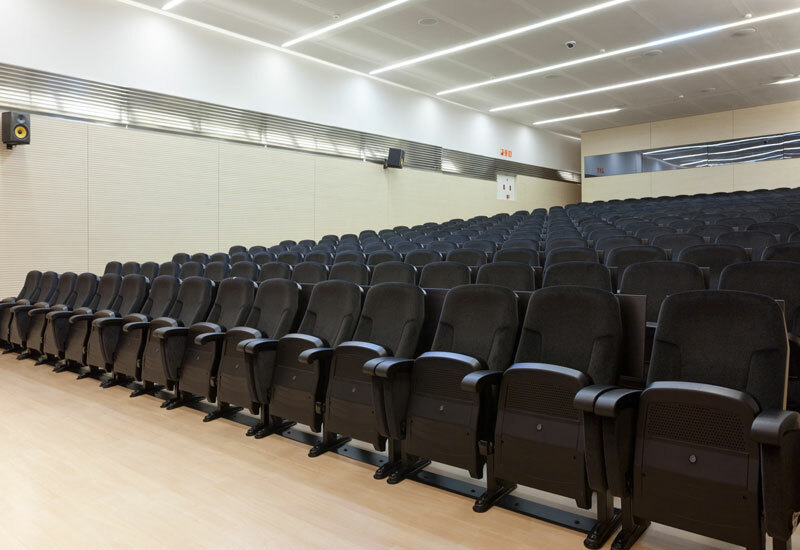 Our Auditorium includes 287 seats and a stage that is 29 feet long. We also have a state-of-the-art projector and a screen that measures 19.6x.8 ft. The presidential table can accommodate up to 6 people and has 3 screens and 6 fixed microphones plus 2 wireless ones. We also offer the option to carry out videoconferences and simultaneous translation in translation cabins. 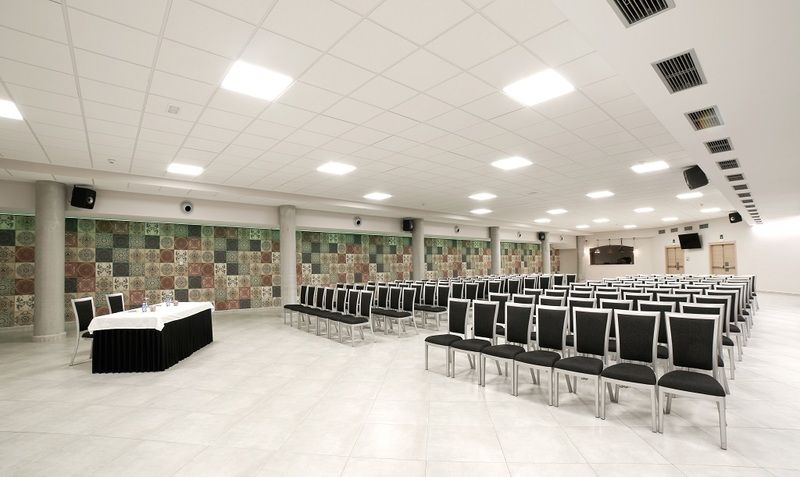 Begoña is an event room with maximum capacity for 320 people, ideal for family events, weddings and parties as well as product presentations and workshops. It also offers the broadest audiovisual technology range. 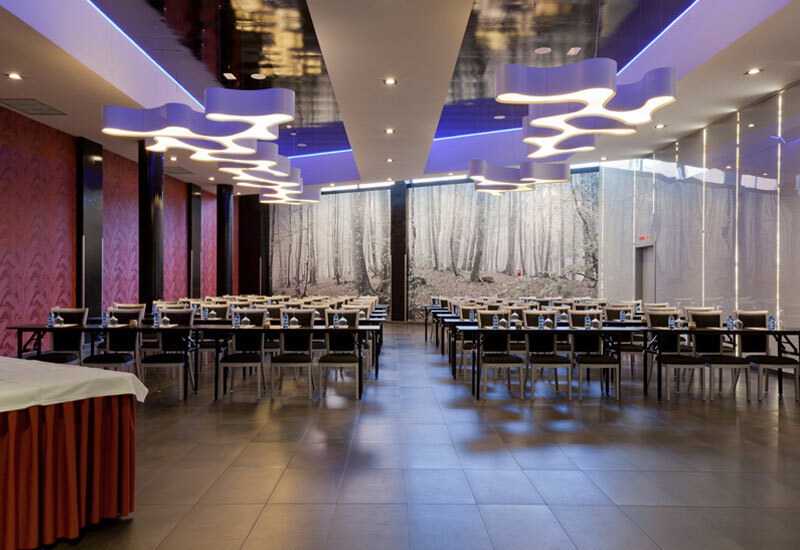 With maximum capacity for 300 people in cocktail setup or 240 in a banquet setup, the natural light and large windows make Bilbo Handia the perfect event room for celebrations and meals for a large amount of people. The space can also have panels added to it to turn it into a private dining for more intimate celebrations. Leioa is an event room with capacity for 100 people. 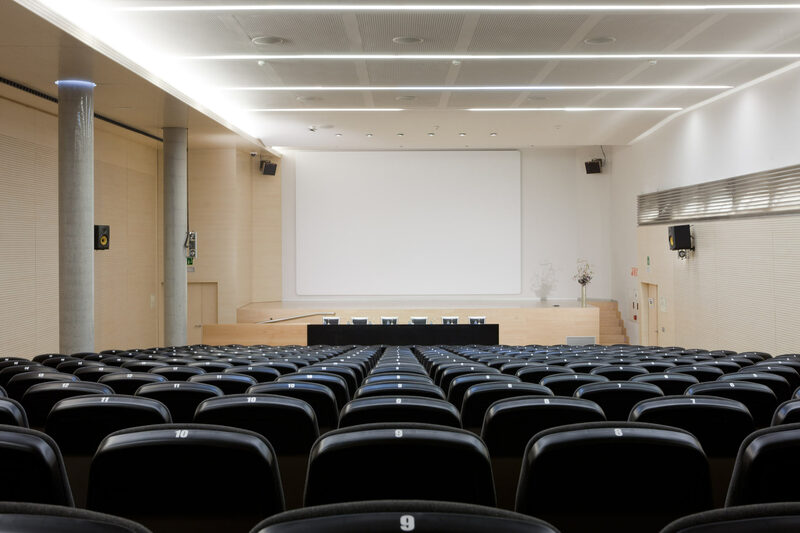 Completely open plan and with natural light, it offers all the necessary audiovisual equipment for small meetings and talks. 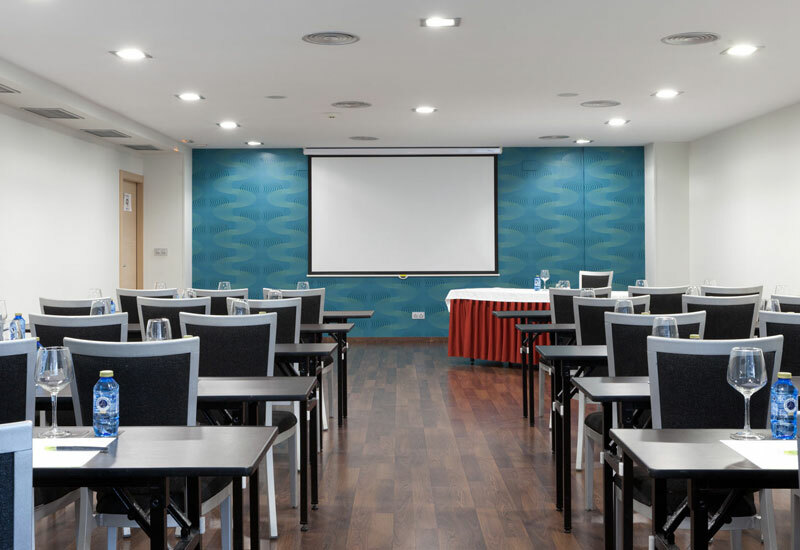 Muskiz can hold a maximum of 60 people and it has complete audiovisual and technological equipment to guarantee that your business meeting or event in our hotel in Bilbao is a complete success. Atxuri is a versatile event room of 592 ft2 in size and capacity for up to 30 people. 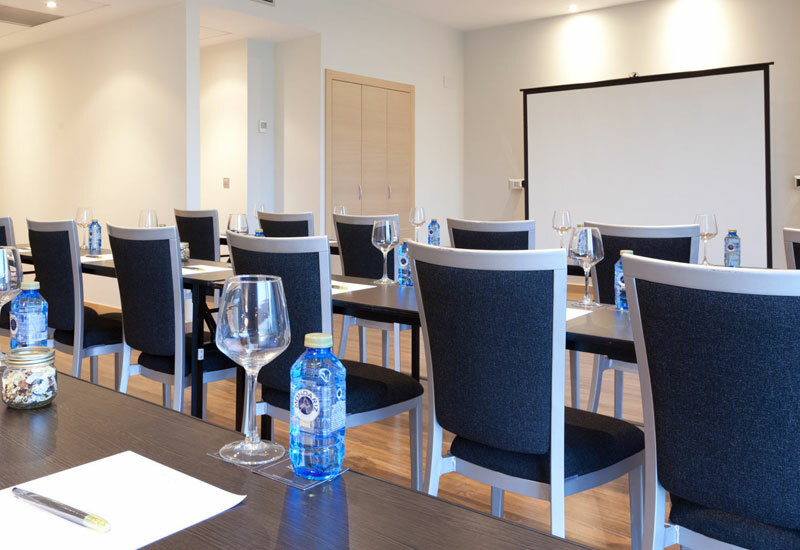 Host your event or meeting in Bilbao with all the necessary equipment. 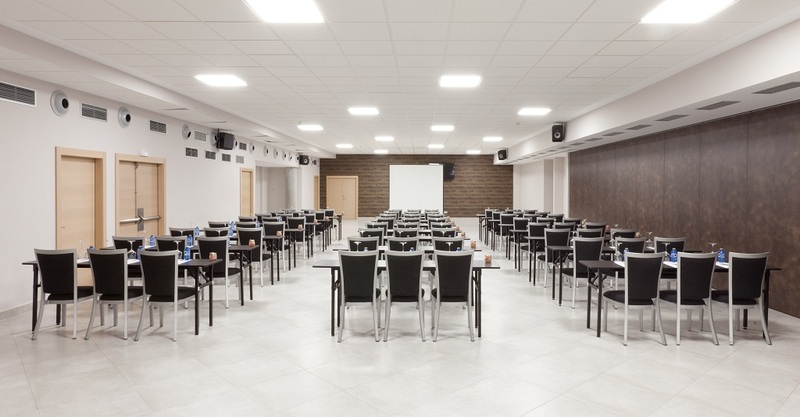 Gorbea is an event room of 3,150 ft2 in size, ideal for hosting congresses, conventions and banquets as well as offering direct parking access, which will allow you to include vehicles for your exhibition. This room’s modular characteristics allow to create, added to the Artxanda room, a space of more than 6,780 ft2 that is fully equipped to cover the needs of any kind of event. 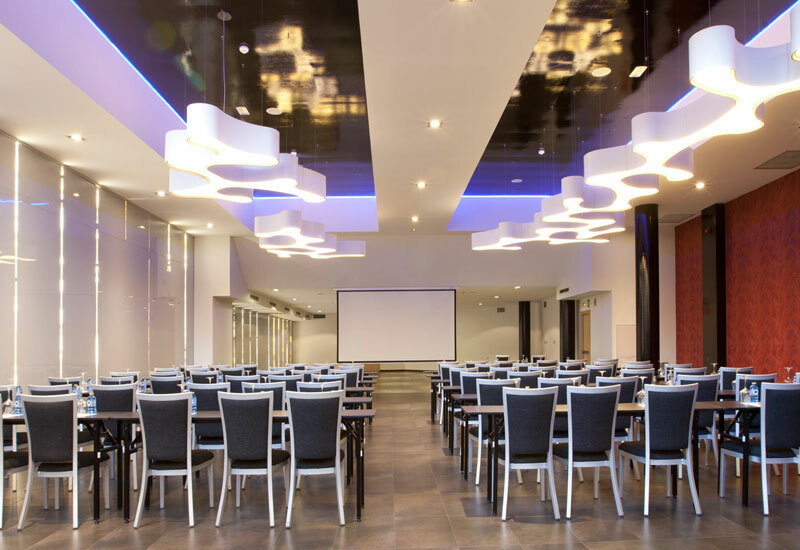 Artxanda offers 3,659 ft2 of open-plan space that is ideal to host all kinds of events, celebrations and meetings. 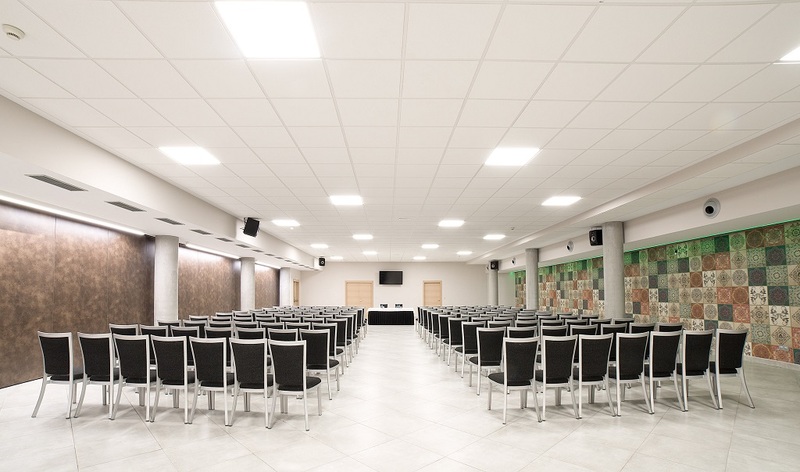 You can join it with the Gorbea room for 6,780 ft2 of modular space with direct parking access, ideal for all kinds of events, from vehicle presentations to business meetings and weddings. 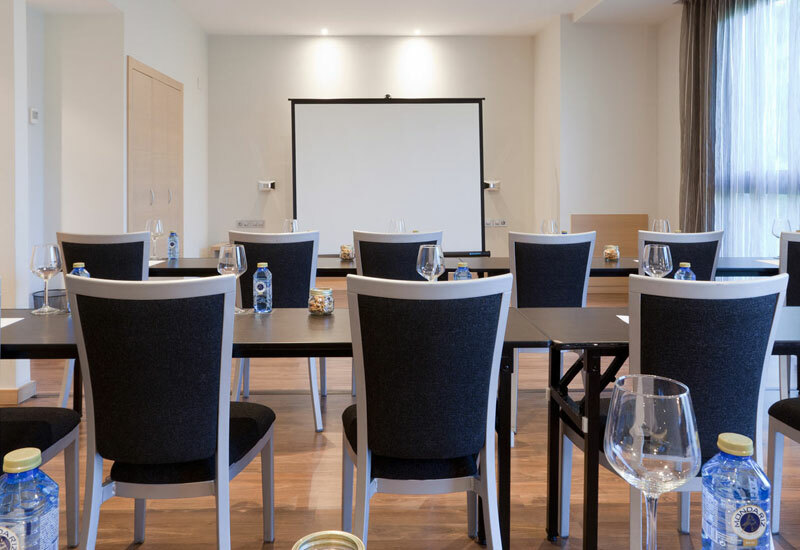 A functional event room flooded with natural light that offers an intimate and cosy space, ideal to host small meetings and training days. Discover our complete range of menus that can be personalised according to your needs. We know everything that your event needs.